News from July, 2011 on Madison - St. Clair Record. SPRINGFIELD – U.S. Magistrate Judge Byron Cudmore won't open records of private groups to class action lawyer Stephen Tillery unless the Illinois Supreme Court does. Stufflebeam Patrick W. Stufflebeam, attorney with the firm of HeplerBroom, LLC, has been elected to the Illinois Association of Defense Trial Counsel (IDC) Board of Directors. Joharifard Sherin Joharifard has joined HeplerBroom LLC in the Edwardsville office as an associate attorney with an emphasis in toxic tort defense. A railroad employee claims Union Pacific is to blame for injuries he says he received while walking around the tracks following a derailment. A former employee claims a dozen years worth of work for Union Pacific has left him with serious injuries. A train engineer is asking Union Pacific to pay more than $50,000 for injuries he says he received while walking down a hill in 2008. Madison County Circuit Judge Dennis Ruth is set to hold a pre-trial July 11 in a wrongful death suit filed against an Alton doctor and hospital. Matoesian Madison County Circuit Judge Andreas Matoesian has dismissed the head of the Illinois Department of Children and Family Services (DCFS) and the parents of a man convicted of beating a toddler to death from a wrongful death suit. 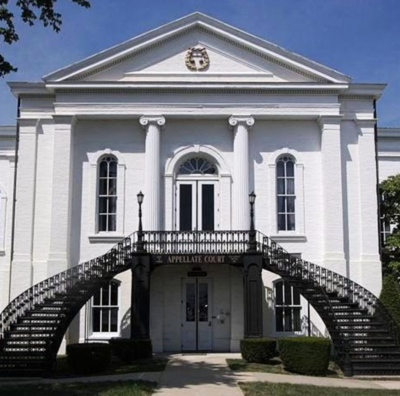 Hepler Madison County Circuit Judge David Hylla will hear motions July 6 in a move to end a 2008 suit brought over a woman's death involving the drug OxyContin. A St. Clair County woman wants the driver of the car that allegedly rear-ended her to pay for her injuries received in the crash. Two people claim they sustained neck and head injuries after a driver struck their vehicle while attempting to turn at an intersection. A man has filed suit against the driver who he claims sped through a red light, causing a collision. Turnabout is fair play, but plaintiffs attorney Stephen Tillery doesn't like it. A St. Clair County woman is suing the driver of the car that allegedly rear-ended her while crossing the Mississippi River. A Madison County woman has filed suit against the drivers who she came caused a collision with her vehicle. A Franklin County man claims he suffered severe and permanent injuries after a driver struck the parked vehicle in which he was sitting. A couple claims they incurred medical costs after a driver who ran a red light caused a multi-car collision. A 51-year-old Troy woman has filed suit against the photo studio for which she used to work, alleging she was demoted and eventually fired after she filed for workers' compensation benefits. An Alton woman claims she was terrorized at her work and feared returning to her job duties after a male coworker allegedly sexually harassed her.